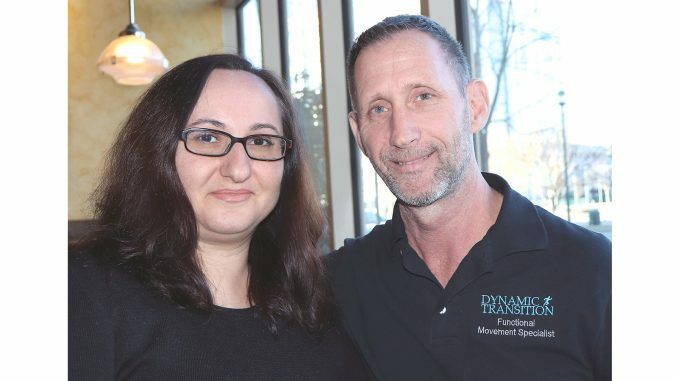 Dynamic Transition was founded in 2016 by Michael Hildebrand and his wife, Anna Glider. Although they are located in Yorktown, their business services the entire Virginia Peninsula. Hildebrand is retired from the U. S. Navy, and has been a licensed personal trainer and massage therapist in the fitness industry for the last 30 years. He has worked with body builders, rehabilitation and even clients aged 9 to 90. Glider has a degree in business management and currently studies holistic nutrition. From New York City, she began her career by working for a private investigator before moving into the insurance field. She also spent a short period of time serving as a caregiver before becoming Dynamic Transition’s office manager. Services provided by Dynamic Transition include functional movement, nutritional counseling and programs designed specifically for individual needs, making each program unique in its own way. Dynamic Transition offers assistance to as many people as its business schedule allows. Hildebrand says they “do not want to be a big business and lose the relationships that we have built.” Glider explains that “it makes a difference on both sides of the fence,” being a trust issue for clients and an attention issue for them. “Most of our clients know us personally. We are very friendly with our clients and that is how we want to keep it, Glider says. Dynamic Transition offers a free in-home consultation and encourages clients to invite family members or caregivers to attend. Hildebrand encourages potential clients to visit their website. “We are here to help as many people as we can because we know there are a lot of people struggling. There are options, including a long-term care program that focuses on one’s whole body. We will go wherever it is most comfortable for our clients,” he says.